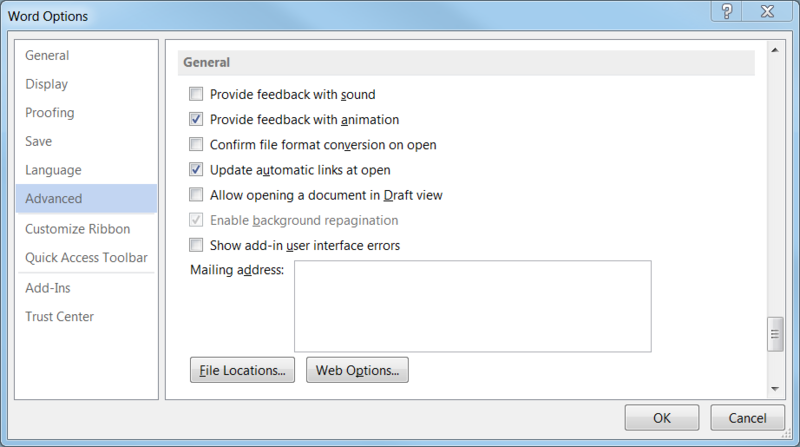 Microsoft Office users can change default file locations like user templates folder using Options configuration tool. In roaming profile, MS Office files can cover huge space which you want to alter default file folders of those documents. In this guide, I tried to show how Microsoft Office users can change file locations of Office documents like user template files folder by using screenshots from Microsoft Office 2013. 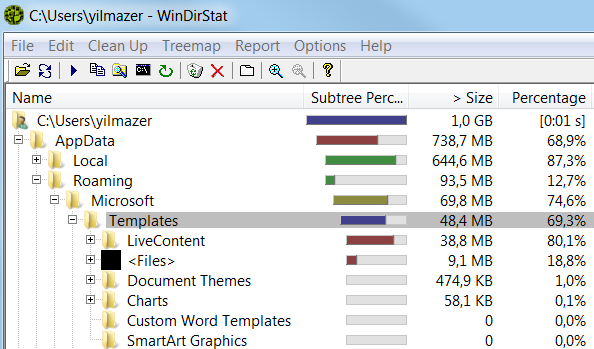 In a disk space analyze using WinDirStat tool, I saw that Microsoft Templates are one of main space keeping folder in my roaming profile. I decided to change the Microsoft Office Templates file folder to an other place. For changing the default Office file folders, you can use Microsoft Word. This will display the Word Options dialog screen where a long list of Microsoft Office Word 2013 options and general settings that may are related with MS Office are displayed like default template storage folders, etc. On MS Word Options screen, select Advanced tab shown on the left. Then scroll down until you reach General settings section within Advanced tab. You will see File Locations button. Press on File Locations button which displays a second window where the Microsft Office users can alter the default folder settings. 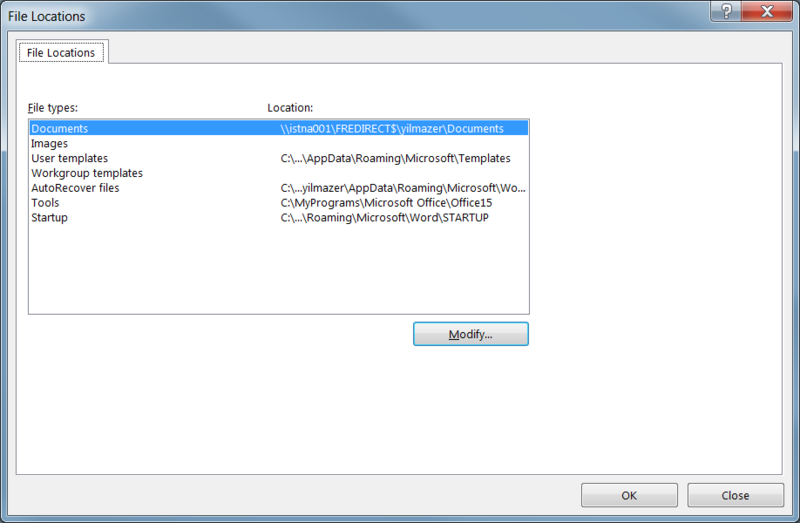 For example, Office users can change user template files default location, or default documents file folder, etc.